Having to go through TSA security checks is definitely something I do not look forward to, and I’m sure many people agree with me on that. The long lines, security guards yelling at you, having to walk around in socks, and so much more makes having to go through TSA annoying. But the TSA isn’t only annoying, it’s unnecessary. The TSA is a proprietor of a practice called security theater. Security theater is the appearance of safety. It’s used to calm people’s nerves and provides the illusion of security when nothing is actually being done to provide it. The TSA is the perfect example of this, because in a Department of Homeland security survey, the TSA missed 95 percent of weapons and contraband. USA Today says that people should arrive to the airport two hours before their flight to account for security checks. That means that people with super early flights have to get up even earlier to make sure they get through security and make their plane on time. That is so ridiculous because the TSA doesn’t even help. So people who have 5:00 a.m. flights would have to get up at 3:00 a.m. to make sure they get through useless security. The TSA hasn’t stopped terrorist attacks; reinforced security and public knowledge against them has. For example, the shoe bomber Richard Reid and the underwear bomber Umar Farouk AbdulMutallab were both stopped by passengers on board, not the TSA. Some might argue that the TSA found 3,957 firearms in 2017, and 118 of those were in the Denver International Airport. But if you look more deeply into the TSA’s 2017 year in review, you will see that they say “You can travel with your firearms in checked baggage, but they must first be declared to the airline.” How is that effective security? What’s to stop a terrorist from declaring their gun to the airline and shooting up a plane? The TSA also blatantly commercializes their security with videos such as “TSA’s Top 10 Most Unusual Finds of 2017” and posting finds on their Instagram page. But there are multiple stories disproving that. According to the Medium, when a transgender person walks through the scanner, prosthetics or body parts that do not match the scanner’s algorithms and results in them getting pat-downs which are very embarrassing. The TSA also discriminates against race. According to Brandongaille, two thirds of all passenger inspections are to people of color. Also, 97 percent of people who are forced to get a pat down are completely innocent. 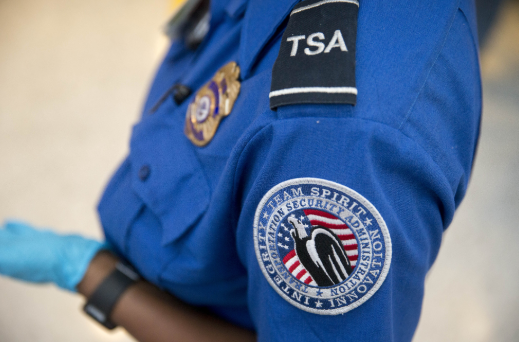 Even some TSA officers admit that 80 percent of security searches they implement are racially driven. The solution is clear: Airports should kick out the TSA, hire (well-paid and unionized) private screeners, and simply ask people to go through normal metal detectors with their shoes on, their laptops in their bags, and all the liquids they desire. This would make having to go through security way less of a hassle and possibly eliminate discrimination issues.